Get it! It makes Google + much more exciting. It’s been on Android since launch but has taken a while to get through the approval processes at Apple. Looks like it’s finally there – there’s a preview up in the iTunes store, see the screengrab. 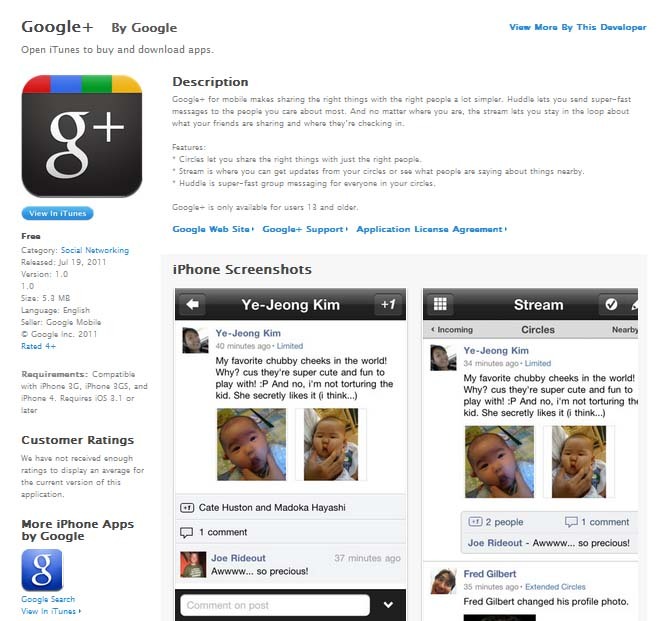 i already have the google+ account, when i have a better mobile phone, i will install this app immediately.